The importance of water as a factor in livestock production. Although it’s “officially” spring according to the calendar, it may be a bit too early for me to extend my congratulations to you for making it through what many of us would call a rough winter. We’re close, but I certainly don’t want to jinx it. Depending on where you’re located, winter is still hanging around and with winter weather comes the not-so-joyous task of “breaking the ice,” literally. If you’re a herdsman or livestock producer, it’s very likely that you’ve had to spend a decent portion of your early mornings breaking ice in buckets, stock tanks, waterers, and the like. Sometimes, despite our greatest efforts, those things just aren’t able to stand up to the (sometimes below) freezing temperatures. Breaking ice is a great way to get your blood flowing in order to accomplish the tasks of the day ahead, no doubt. And, if you’re like me, sometimes you get an extra workout in when you have to walk (or waddle, depending on just how many layers of clothing you’re wearing) to the watering source and then attempt to crush what may seem like an iceberg. If you have an older model cattle waterer that could use more insulation and better protection from the elements, you know exactly what I mean. It can be frustrating, tedious, and a lot of work. But rest assured, the time and work we put in to provide water for our livestock is not for naught. The truth is, whether the ambient outdoor temperature is below freezing during winter or scorching hot in summer, we must acknowledge and remember that water is necessary for livestock production. More importantly, it’s necessary for life. This may seem like common sense to you, and I hope it does, because it suggests that you recognize its importance. Without water we have no livestock production. Without water we have no life. It’s as simple and complex as that. After all, water is mandatory for the maintenance and regulation of body temperature (throw it back to BIO101 and think “homeostasis”). It’s an immensely important factor in growth, development, and lactation. And it’s imperative for digestive processes, reproduction, excretion, and metabolizing forages and feedstuffs, among many other biological processes. Water is critical to so many different processes in the body that it’s even essential to eyesight. Let that sink in. It’s something we probably tend to not think about, but it’s true. I won’t delve into the multifaceted specifics of all of the biological processes that require water because they are many and I’d be writing a novel. However, we are responsible, nevertheless, for supplying water to our livestock that is sufficient and clean to set the stage for increased performance, which, in turn, results in increased production. This leads us to the topic of water requirements, which are affected by a myriad of circumstances. The age, size, and species of animal, level of activity, dry matter/feed intake, ambient temperature, and water temperature are some of those factors. Gestation is another factor, one at the forefront and of great importance in a production setting. Although all water consumed by livestock doesn’t have to and won’t be provided in the form of drinking water, water still needs to be provided ad libitum, meaning “as desired.” Sure, water can be consumed by livestock via forages or feedstuffs that contain a lot of moisture (things like pasture, silage, etc. ), but those sources of nutrition only satisfy a portion of animal water requirements. The rest of that requirement comes from intake by way of ad libitum access to water. In other words, animals voluntarily drinking water that they have free access to in order to satisfy their needs. In addition to water requirements, it’s also imperative that we recognize the importance of water quality to livestock production. In simple terms, poor water quality (i.e. water containing debris, bacterial contamination, etc.) may lead to a reduction in water and feed consumption, which negatively affects animal health and culminates in a loss of production. It’s a domino effect. Often times we’re able to detect poor water quality upon visual examination and/or sense of smell, but this is not always the case. Therefore, it’s a good practice for us as producers to have our water tested. For example, water that is murky in appearance and/or foul smelling could be a sign of contamination, but in order to pinpoint the potential contaminate(s), it needs to be investigated. Water in a farm pond that has a green film on top may be indicative of an algal bloom. Although not all algal blooms are toxic, it’s recommended that these water sources be avoided until sample analyses have been obtained. Regarding livestock watering sources, we’ve historically used streams, ponds, and springs to provide water for our animals. While they may still be in use, well-pumped and gravity-fed systems are becoming more common. Ultimately, the type of system that works best for you will depend on your specific needs and situation. For those of us who must use streams, ponds, and springs, it’s ideal to provide animals points of access (versus access to the watering source in its entirety) for drinking purposes so that we not only minimize the potential for soil erosion and sedimentation, but also reduce the risk of contamination and threat to water quality. It’s a term we like to call “controlled direct access,” and it usually involves fencing and the construction of ramps to achieve limited access. 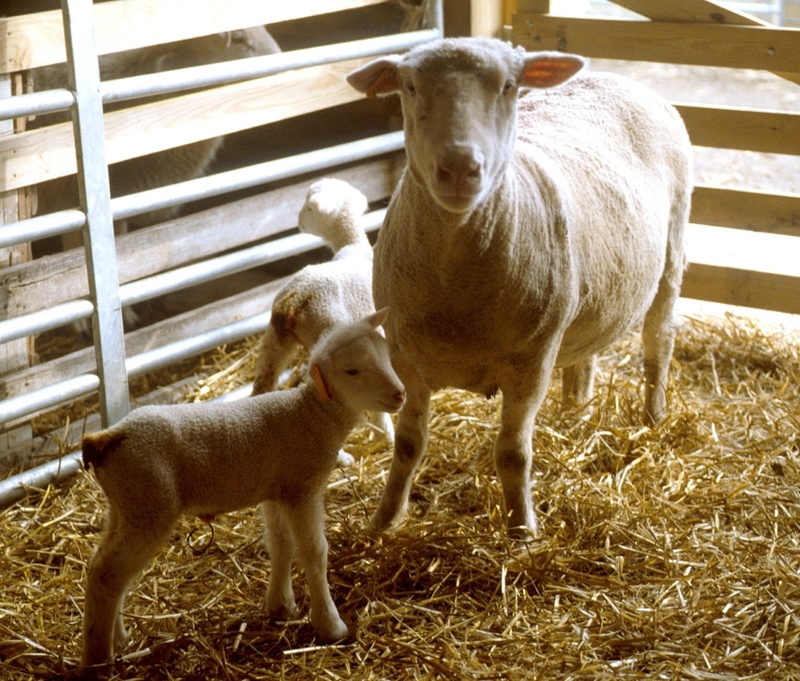 While some major advantages of using these sources for providing water to livestock are reliability, low cost, and the fact that they aren’t dependent on power, they do come with their disadvantages — they require maintenance, may dry up during drought, and are still at risk of contamination due to accessibility by livestock. 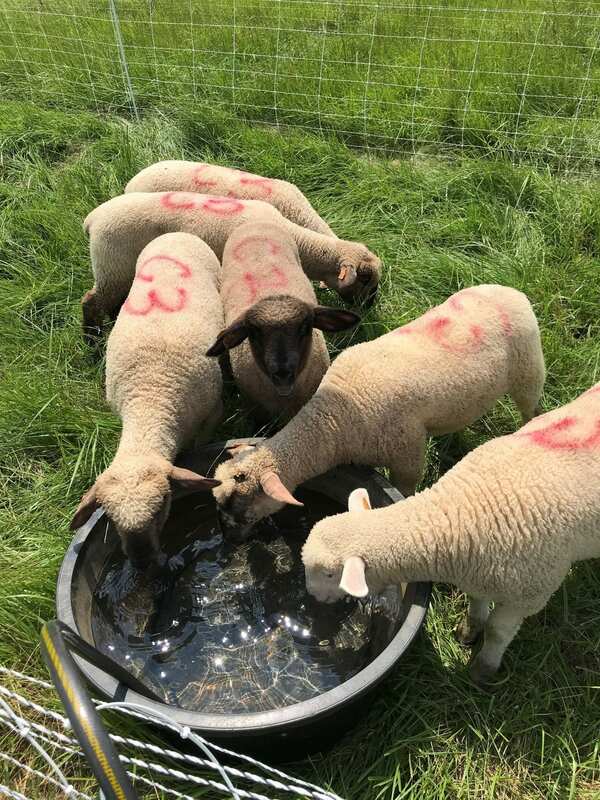 Well-pumped and gravity-fed watering systems are generally viewed as better alternatives to sources in which livestock have direct access because they employ complete exclusion of animals, thereby reducing the threat to water quality. Overall, water that is clean and of good quality will lead to an increase in water and feed consumption, which positively affects animal health and results in an increase in livestock performance and production. It’s a win-win for everyone involved, so long as we’re keenly aware of water’s place in livestock production. And if you need another reminder, it’s always at the top of the list of importance. Posted by Braden Campbell at 8:00am April 9, 2019 Posted in Management and tagged Health, Management, Nutrition. Bookmark the permalink.